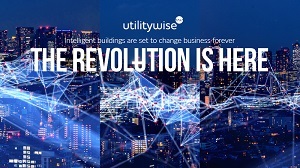 Utilitywise, the UK’s leading utilities consultancy, has collaborated with Vodafone and Dell EMC to develop a new Internet of Things (IoT) energy and building management platform that could transform the way businesses use energy and run their sites. The new platform allows businesses to evaluate all their energy outputs, such as lighting, heating, and ventilation, from multiple sites and buildings via a single, integrated hub. This will make it easier than ever before for facility and property managers to assess where energy is being wasted and to react accordingly, saving their businesses money. This technology has the potential to revolutionise the building controls market. With instant access and full data visibility, it will give businesses a much greater level of control over the way they use their utilities, which could produce significant savings. The remotely-managed platform is already being trialled by a number of UK retailers and, in some cases, has cut operational costs by 20% - with an ROI of less than 12 months. The platform’s software, developed by Utilitywise, can also eliminate the need for expensive data software licenses and maintenance agreements that are regularly found with existing building management systems. Together with the significant opportunities for energy savings it’s the perfect solution for procurement and finance teams looking to gain much-needed cost efficiencies.